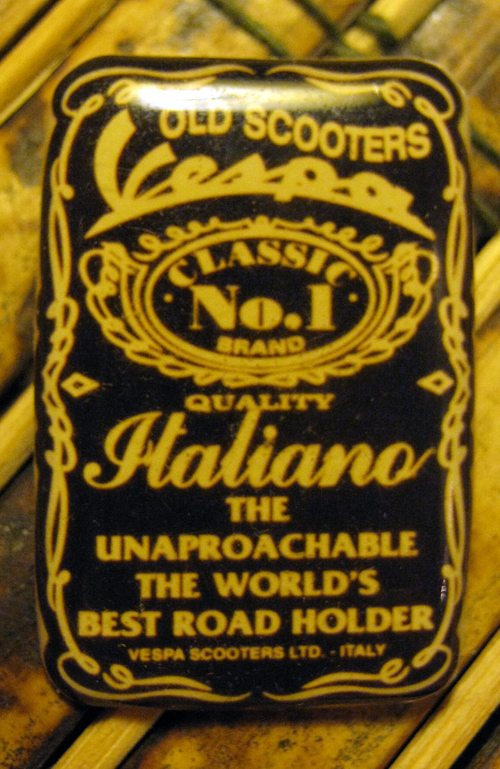 This Weekâ€™s Rare Bit Oâ€™Swag: Jack Daniels-ish Vespa Pin? This is perhaps the strangest Vespa swag I’ve ever come across. It’s from Cassie’s collection and she got it from eBay years ago. This entry was posted in Food, Wine, Jewelry and tagged brooch, jack daniels, pin, scooter, vespa by Tracy. Bookmark the permalink.